Mr. Potato Head emulates your favorite characters from Marvel Comics with new PopTater Character Keychains! This is a blind bagged item and includes one (1) random character. There are 9 characters to collect including Thor, Spider-Man, Captain America, Iron Man, Hulk, Black Widow, Groot and two mystery heroes! Which character will you get? 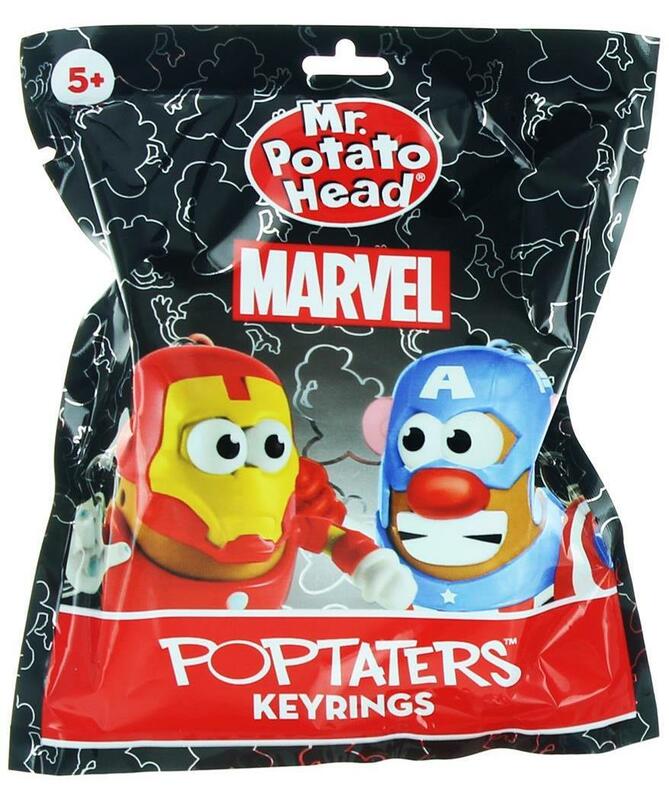 Take your favorite superhero with you everywhere you go! The clip can attach to your keys or backpacks, pants, bags, and more! Each figure measures 2-inches tall. Collect them all! Each figure measures 2-inches tall. This is a blind bagged item and includes one (1) random character. There are 9 characters to collect including Thor, Spider-Man, Captain America, Iron Man, Hulk, Black Widow, Groot and two mystery heroes! Which character will you get?